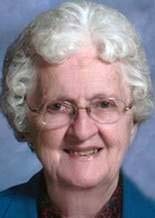 LA PORTE CITY - Doris I. Bark-Hocken, 82, of La Porte City, died Sunday, Nov. 4, 2012, at Ravenwood Nursing and Rehab Center, Waterloo, of a heart attack. She was born May 18, 1930, in New Sharon, daughter of Rayford and Wilma McVey Leatherman. She married Ray Bark on Aug. 6, 1966, in Waterloo; he died in 1997. She married Ralph Hocken in 1999 in Waterloo. She worked at Rath Packing Co., Morris Printing and Hinson Manufacturing in Waterloo and then worked more than 30 years as a church custodian in many churches. She was a volunteer for Meals on Wheels and also was a recognized blood donor. Survived by her husband; a son, David (Jeri) Bark of Murrayville, Ga.; two daughters, Patricia (Andy) Miller of Des Moines and Penny (Joe) Jenkins of La Porte City; nine grandchildren; and one great-grandson. Preceded in death by a brother, Robert Leatherman. Services: 10:30 a.m. Thursday at Heartland Community Church, with burial in West View Cemetery, both in La Porte City. Visitation from 4 to 7 p.m. Wednesday at La Porte City Funeral Service and also for an hour before services Thursday at the church. Memorials: may be directed to Heartland Community Church, La Porte City, or Central Christian Church, Waterloo.